Are all water-damaged losses the same? What are the different categories of water related losses? Which are the types of losses even worth recovering? 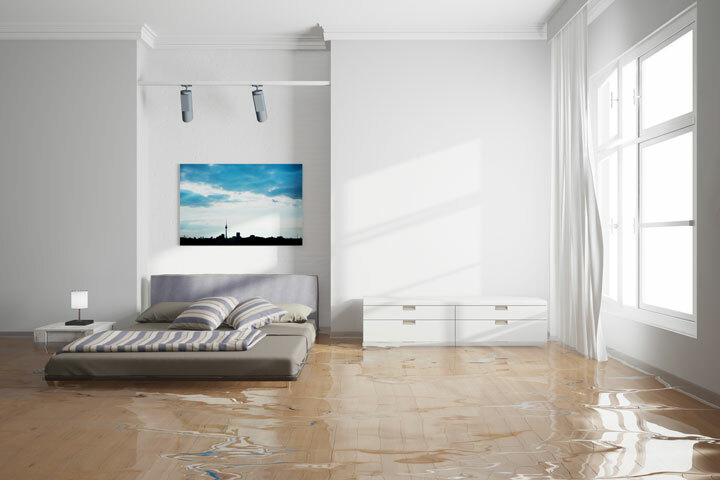 Moisture deterioration occurs after a surface or substrate is water-damaged. Wood will swell or begin to rot after being exposed to stagnant water for some time. False partitions and ceiling boards lose their rigidity and strength. Electronic equipment starts corroding. Painted surfaces start peeling. And the list goes on. The key to Moisture Recovery is speed, experience and having the sufficient and right type of tools and drying equipment to mitigate the losses. Correctly assessing the types of damage and identifying suitable equipment will reduce the response time and increase the chances of recovery to pre-loss condition. The IICRC (Institute of Inspection, Cleaning and Restoration Certification), a USA non-profit restoration association has come up with a schema of 3 categories of contamination to help determine if recovery is recommended. Categorizations of the level of contamination help in recommending the right plan of action. The category of water contamination is not determined by the color of the water. Rather, the category is determined by the source, contents, history and characteristics of the water, as described below. Clean water originates from a source that does not pose substantial harm to humans. Examples of clean water may include, but are not limited to, broken water supply lines, tub or sink overflows with no contaminants, appliance malfunctions involving water supply lines, melting ice or snow, falling rainwater, broken toilet tanks and toilet bowls that do not contain contaminants or additives. Clean water that has contact with structural surfaces and content materials may deteriorate in cleanliness as it dissolves or mixes with soils and other contaminants after prolonged exposure. Gray water contains a significant level of contamination and has the potential to cause discomfort or sickness if consumed by or exposed to humans. Gray water carries micro-organisms and nutrients for micro-organisms. Examples of gray water may include, but are not necessarily limited to, discharge from dishwashers or washing machines, overflows from toilet bowls with some urine (no faeces), sump pump failures, seepage due to hydrostatic pressure, broken aquariums and punctured water beds. Gray water may contain chemicals, bio-contaminants (fungal, bacterial, viral, algae) and other forms of contamination including physical hazards. Time and temperature aggravate Category 2 water contamination levels significantly. Gray water in flooded structures that remains untreated for longer than 48 hours may change to Category 3 – Black Water. Black Water contains pathogenic agents and is highly unsanitary. Black Water includes sewage and other contaminated sources entering or affecting the indoor environment. Category 2 water that is not removed promptly from the structure may be reclassified as Category 3 water. A toilet backflow that originates from beyond the toilet trap is considered black water contamination, regardless of visible content or color. Category 3 water includes all forms of flooding from seawater, ground surface water and rising water from rivers or streams. Such water sources carry silt and organic matter into structures and create Black Water conditions. The water is considered to be Category 3 water in situations where structural materials and/or contents have been contaminated with contaminants such as pesticides, heavy metals, or toxic organic substances. When Disaster Restoration Singapore is activated for water losses, we put your best interests at heart in recommending the correct way to approach a project. As your professional restoration contractor, our aim is to give you choices that will be cost effective at the time of service and give you the peace of mind long after our work is done.